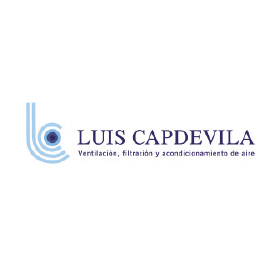 The company Luis Capdevila, S.A. was founded in year 1977. Ever since has proved to be a reliable supplier with a high quality standard. At the same time, its innovative character has led to the design of multiple well known products such as: the first Filtronic in year 1985, the best known filter for the control of the smell and smoke in the commercial kitchen. The first induction exhaust hood patented in year 1987. The first 400ºC/2h fan box with horizontal and vertical outlet and the motor placed below the exhaust duct. Recently, the Teppanfilt system, a vent less system for cooking without exhaust hood. Still the ozone generator, the active carbon filters, inverters, the Elegance hood with its water wash system, the SUPRA filter, etc. are all new systems and products that makes our range of products wide enough to cover all the needs in the industrial kitchen. Finally, our experience of more than 30 years allow us to advise the best solution for every single problem related to the ventilation in industrial kitchens. Exhaust hoods: standard, water wash, UV hoods and with fire protection systems. Exhaust ceilings. FILTRONIC smoke and smell depurators. Vent less cooking equipment TEPPANFILT which do not require any exhaust hood above. We use own and third-party cookies to improve our services and to show advertisements related to your preferences by analyzing your browsing habits.